I think that the greatest unacknowledged truth in college admissions is that if you’re good enough to get into an Ivy League school then you are good enough to handle being rejected by them. What am I talking about? Let’s start with the joke that in order to get into the elite universities, high school students need to have discovered the cure for cancer or, at the very least, won a Nobel Prize. Well, think about it. If you already accomplished that much without the help of the most prestigious colleges, surely you’ll be able to continue to do so despite a rejection letter? Don’t think people should make too much of a casual joke? How about some hard data instead. Research by Krueger and Dale shows that students who were actually accepted to the most elite colleges and went elsewhere were just as successful as those who did attend the “must get in” schools. The fact of the matter is that it is the elite students that make the elite universities, not the elite universities making elite students. 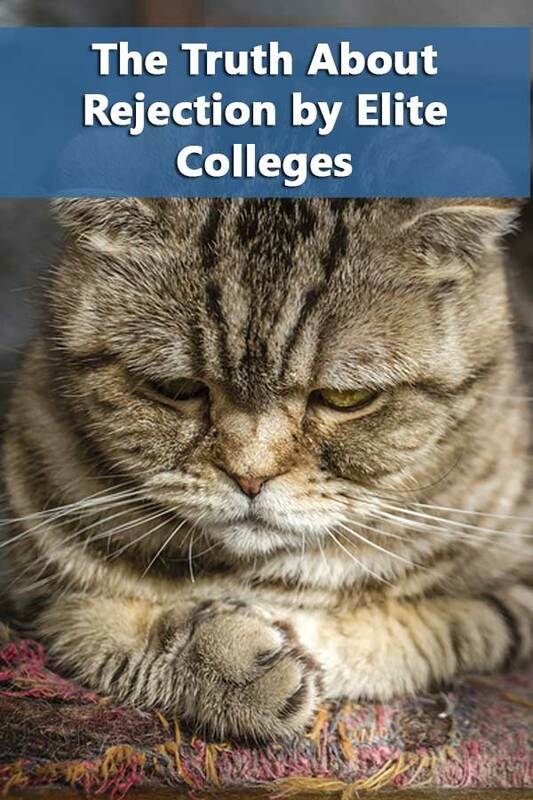 The universities are actually pretty upfront about this. They want students who excelled in a high school situation where presumably the vast majority of students couldn’t match their achievements. Just check out the following from the admission pages of some universities. …the Admissions Committee considers many other factors—strong personal qualities, special talents or excellences of all kinds, perspectives formed by unusual personal circumstances, and the ability to take advantage of available resources and opportunities. Again, we are looking for students who will make the most of Yale and the most of their talents. Knowing how you’ve engaged in the resources and opportunities at your high school gives us an expectation of how you might engage the resources at Yale if admitted. We want to see the kind of curiosity and enthusiasm that will allow you to spark a lively discussion in a freshman seminar and continue the conversation at a dinner table. We want to see the energy and depth of commitment you will bring to your endeavors, whether that means in a research lab, while being part of a community organization, during a performance or on an athletic field. We want to see the initiative with which you seek out opportunities that expand your perspective and that will allow you to participate in creating new knowledge. Evidence of intellectual curiosity and promise, classroom and school and community participation, and overall potential for the candidate to make an impact at Columbia, in the classroom and beyond. Show us what’s special about you. Tell us how you would seize the academic and non-academic opportunities at Princeton and contribute to the Princeton community. We’re looking for students who can think beyond their limits, who don’t see ‘impossible’ as a roadblock, and who will not only elevate themselves, but also those around them. Students we accept haven’t just gone through the motions–they’ve put heart and soul into the areas that interest them. Frankly, students we do not admit often have these qualities as well. The elite colleges are not in the business of transforming students but rather providing outstanding students with the label of “outstanding” and the opportunity to interact with other such students. Remember, these are the schools that are putting their course content online for free. Many would argue that it’s the chance to interact with similarly talented students that is the true value of elite institutions. Such interactions will inspire them to even greater heights, or at least get them jobs in investment banking. Argue all you like. 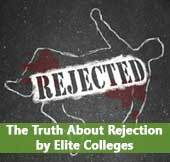 If you are truly the passionate, self-starter that didn’t just take advantage of the opportunities offered by your high school, but created new opportunities for others at the high school, you should be able to be able survive rejection by elite colleges and still continue on your path to success.